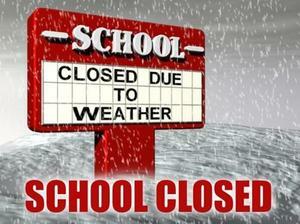 Schools Closed 3/12 due to inclement weather! All Snowline JUSD schools will be closed Tuesday, March 12th due to inclement weather! Hope you have a safe day and we look forward in seeing everyone back at school tomorrow! Schools in session today 2/22! All Snowline schools will be open for learning on Friday 2/22! We hope you have a great day and don't forget about Saturday Academy on 2/23! Join us for Saturday Academy! Come hang out with us from 8 am to noon on 2/23 for Snowline's Saturday Academy! Good morning! 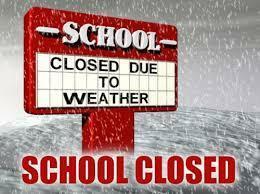 All Snowline schools will be closed today 2/21 due to inclement weather. Roadways are extremely slick this morning, if you do have to travel, please be safe! The power at Baldy Mesa has gone out and will be off for the remainder of the day. Snowline maintenance and So. California Edison have been working together to fix the problem but it will take the remainder of the school day. Please be assured that all students are safe and well taken care of. If you would like to come check your student out of school early please feel free to do so. If you are not able to pick up your student until school is dismissed, your student will participate in the regular school day. Thank you for your support. The Tri-Community Veteran's Dinner began 24 years ago with the goal of honoring and appreciating the men and women who have served our country. Check out the September Snowline Schools Article! All Snowline Schools and Offices will be closed on Monday 11/12 in observance of #VeteransDay . Check out Serrano High School Teacher Mr. Dolan on the piano and Principal Mr. Jones performing at this weeks veterans dinner! Thank you to all of our #veterans #neverforget #yOURstory Click the READ FULL STORY button for video!